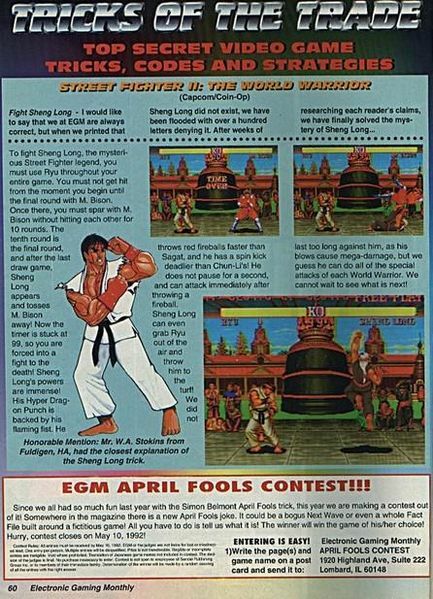 It was probably the first or second year that Electronic Gaming Monthly (EGM) began doing the April Fools Pranks that they introduced the legendary character Sheng Long in Street Fighter II. The way it came about dealt with the English localization of the arcade game, which changed Ryu’s message after a win from “If you cannot overcome the Rising Dragon Punch you cannot win!” to “You must defeat Sheng Long to stand a chance!” See, Ryu’s Dragon Punch is “sheng long” in Chinese and the translators mistook the converted name of the attack for a person. Since Ryu was supposedly trained by a great karate master, we were to assume that was who Sheng Long was. Capcom even corrected the mistake in the SNES version, changing the phrase from “Sheng Long” to “Dragon Punch” but the instruction manual explained Sheng Long to be the master of Ken and Ryu. 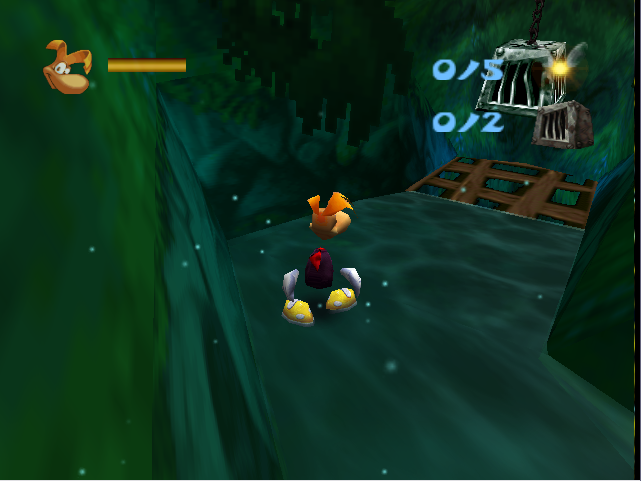 After that it was only one quick clever plan and EGM had people believing he could be unlocked! According to the article, you would have to beat all 11 fighters without taking a hit and get 9 draws against M. Bison and you could fight Sheng Long. Let this be a lesson, if it seems impossible, it is. It was even funnier when the April Fools Contest appeared just under the article. Ironically there is speculation that character Akuma was created based on the prank and Capcom has admitted that Gouken from Street Fighter IV is a spiritual version of Sheng Long.